Chef in a box recently organized a healthy baking workshop at Taste Sutra, Lajpat Nagar. Baker Tanya Gupta of Whisk a Wish curated the whole session and shared some of her most amazing baking recipes. It was a very casual session, where in some food enthusiasts gathered for their love of baking as well as healthy food. The ambience of Taste Sutra was just perfect, it’s a very beautifully done place and taste sutra organizes curated meals, food walks etc. on their own as well, the whole concept being meeting for the love of food, and cooking and enjoying food together. Coming to the workshop, the first recipe shared by Tanya was of a healthy chocolate loaf. The chocolate loaf contained no sugar and no butter, sugar was replaced by honey and for the moistness of cake, and a very surprising element was added. I could never imagine that adding Zucchini was also possible in a cake, and that too in such a way that it didn’t affect the overall taste at all. It surely was a great recipe and I am going to try out very soon. The next were oatmeal crackers and they were best out of the lot. A very simple recipe served with a simple dip made with hung curd; this dish became everyone’s favorite instantly. Last but not the least, there were Orange Cinnamon Whole Wheat Cookies and they turned out to be super amazing. A very easy to bake simple recipe made with simple ingredients that are easily available at home. I thoroughly enjoyed this workshop and hope Chef In A Box organizes more of such kinds. 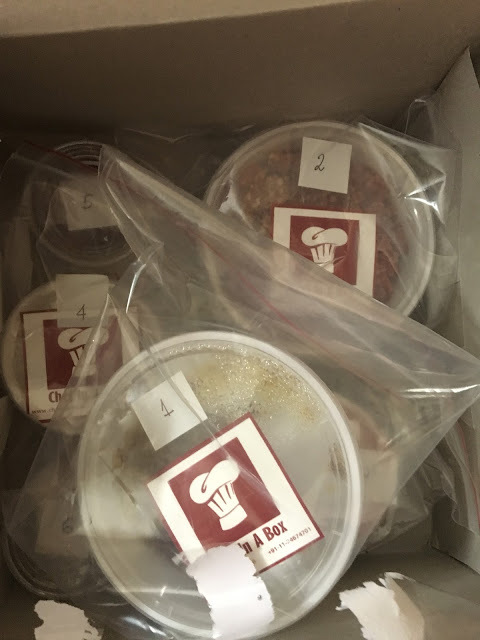 As a goodwill gesture, Chef In A Box also sent one of their special boxes, I chose Mutton Keema box, which came packed with all the ingredients and chef’s recipe to prepare the same. It was great fun to prepare the Keema as per the given ingredients and directions and it turned out really awesome. 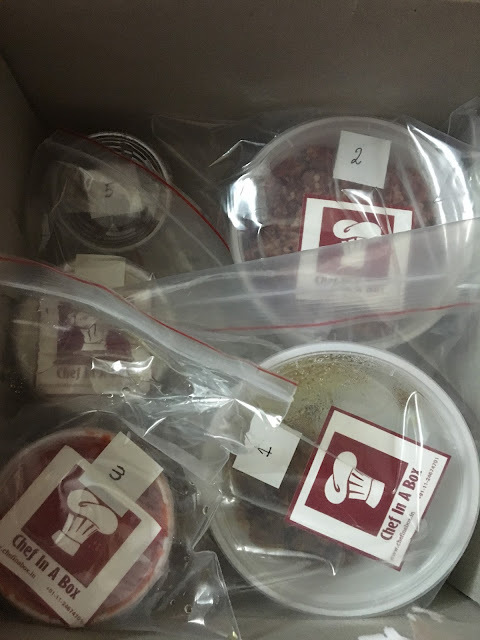 It’s a great thing for those who don’t want to get into the hassle of buying all the ingredients to prepare a single dish or those who just want to try something new for the first time. 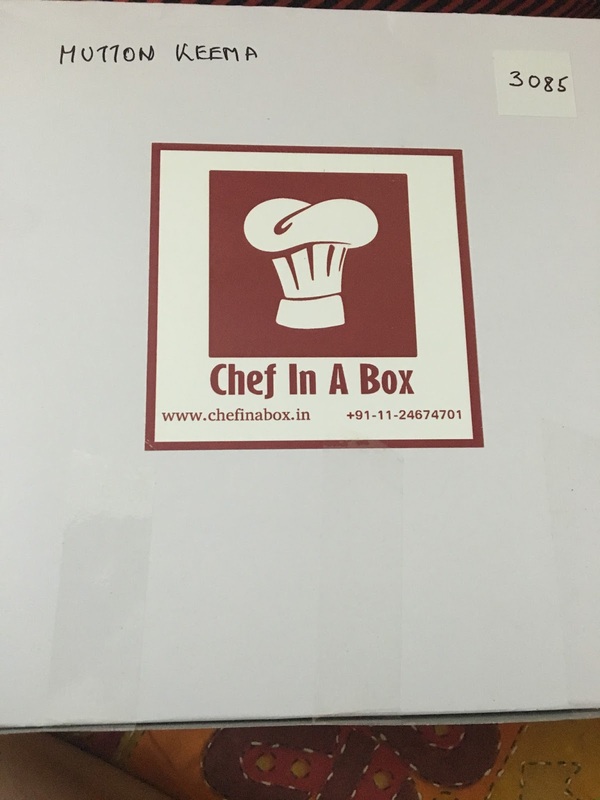 Give Chef In A Box a try and you will love it. Hey, that post leaves me feeling foohsil. Kudos to you!